These green hues were once referred to as army or olive green and mostly used in military inspired collections or chic safari attire. 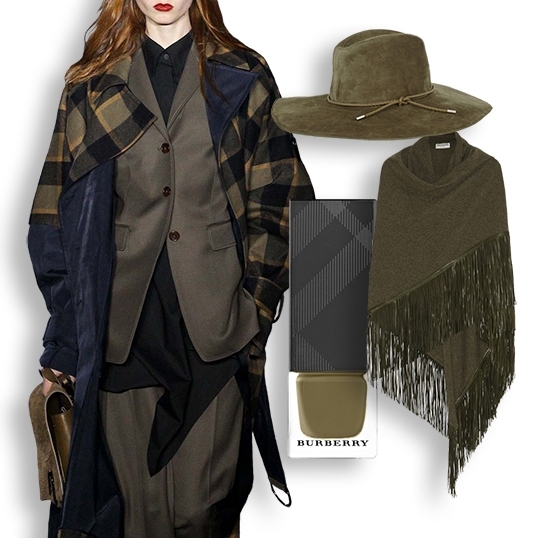 A new name and applied to all facets of fashion - 'dried herb' hues are a staple for Fall 2015. These earthy tones are neutral and should be paired with similarly warm colors. For a sophisticated look, substitute black and don chic attire in dried herb hues. Wear a sheer green top with tailored pants in a slightly darker shade, or layer dried herb greens atop dark blue and cream - dark blue denim flares, tan shoes, a cream-colored silk blouse and green cape - perfection! 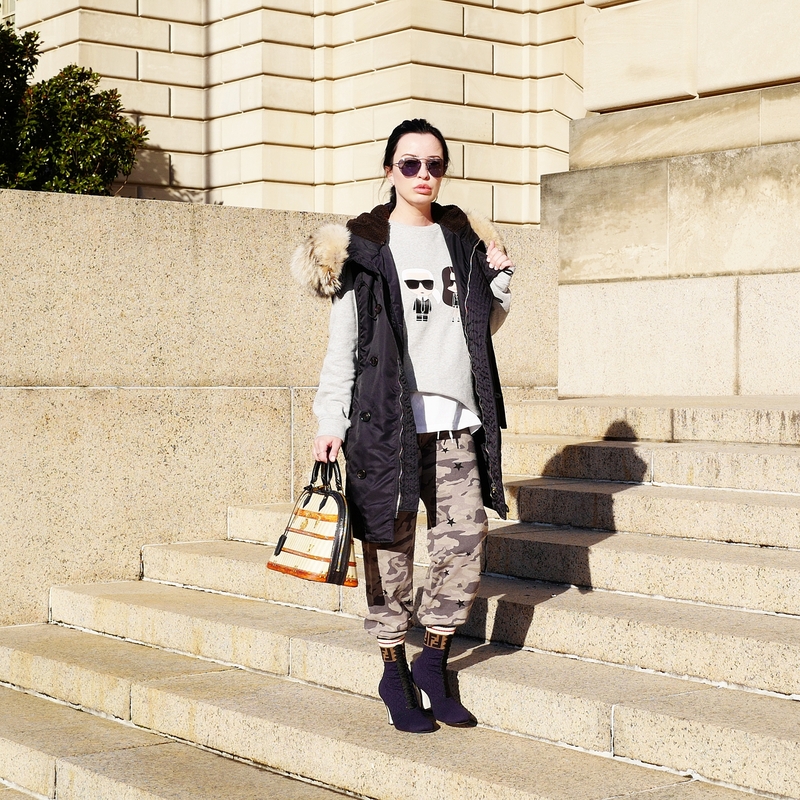 Feeling casual, go military-style in modern way by paring cargo pants and a sheer sweater. 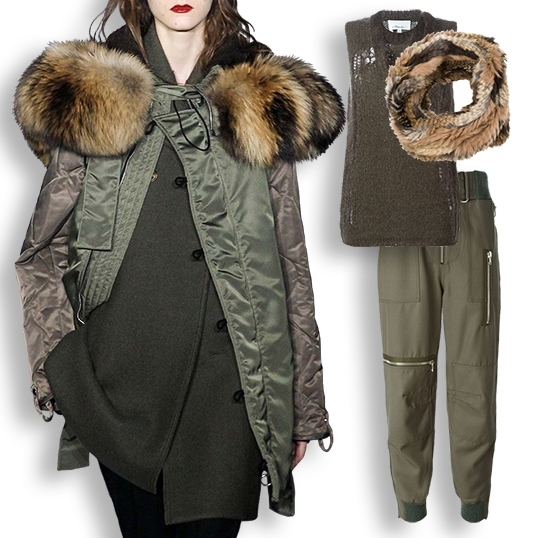 Natural colored fur (preferably faux) compliments warm green tones and transforms your look from casual to sophisticated and chic. Pictured here: (available at NET-A-PORTER) Emilio Pucci braid-trimmed suede fedora, Barbajada fringed leather and cashmere wrap, Burberry nail polish in Khaki Green, (available at FARFETCH) Jocelyn Infinity Scarf, 3.1 Phillip Lim sleeveless knit top, 3.1 Phillip Lim gathered ankle trousers. Oversized capes and ponchos atop over-the-knee boots are the perfect paring for Fall. 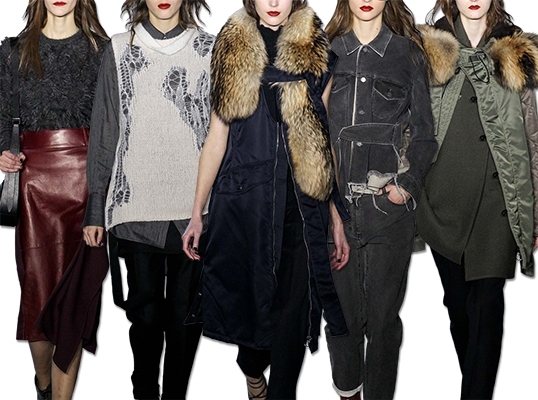 Showcased in Fall 2015 runway shows: Chloé, Burberry, Thakoon and more - capes and ponchos look effortlessly chic. Opt for an oversized poncho atop fitted pants and over-the-knee boots, or a shorter hem cape paired with flared pants and a chunky heel. A heavy knitted poncho is an essential layer for Fall, both cozy and on-trend. Over-the-knee boots can be tricky (sometimes garish), but paired with long, oversized knits and tights or fitted pants look classy and chic. If you only try a few trends this season, let it be a cape or poncho and over-the-knee boots. Pictured here: (available at FARFETCH) Chloé Checked Cape, Sergio Rossi Blue Over-the-knee Boots, (available at NET-A-PORTER) 3.1 Phillip Lim Leather-trimmed Wool-blend Poncho, Sam Edelman Elina Suede Over-the-knee Boots. Ok, this first time I saw the skirted trouser trend, I thought it was odd, but this chic look is swiftly growing on me. What changed my mind? These Commes Des Garçons Vintage Skirted Trousers - LOVE! Skirted trousers were seen all over the Spring 2015 runways, but fashion chatter speculated whether we would see it on the streets. Bloggers, celebrities and models made it happen and now a new season is here and the skirted trouser trend has evolved.. Rag & Bone showcased silk dresses and knee length skirts atop tailored pants in the Fall 2015 runway show. This collection shows that layering all-over, both top and bottom is fresh and innovative. Update your pant look and opt for skirted, wrap or apron trousers. 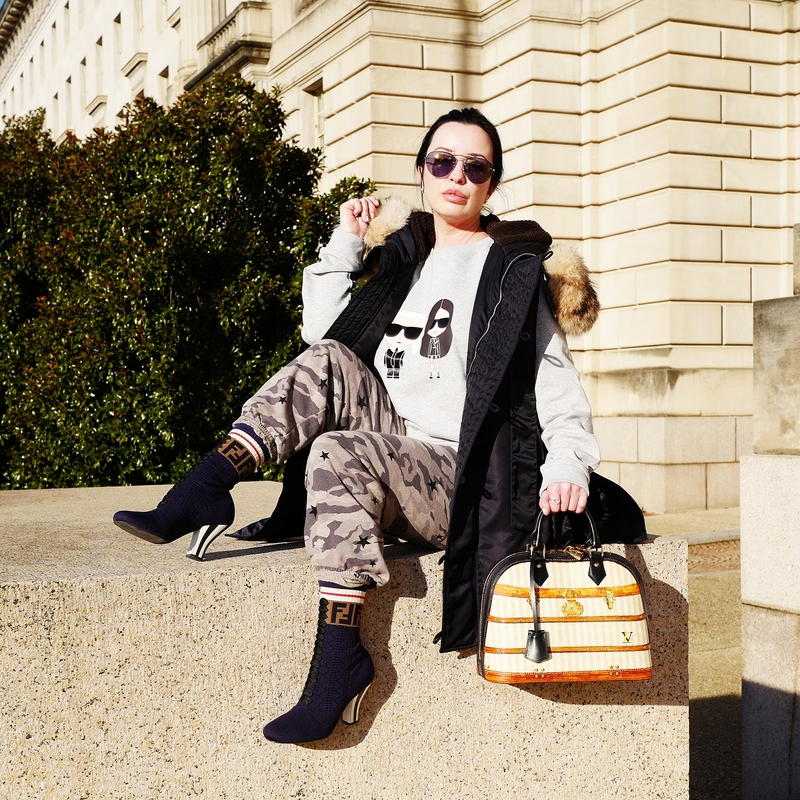 Loose fitting pants with material wrapped, tied around your waist and landing just short of your knees or all the way to your hem are casual and cool. An apron or skirt atop your tailored pants are modern, intriguing and attention-getting. Make a fancy statement by wearing a full, ruffled skirt over tailored pants (my favorite). Happy layering..
Pictured here: (available at Farfetch) Commes Des Garçons Vintage Skirted Trousers, 3.1 Phillip Lim Wrapped Skirt Trousers. Merlot, burgundy, grenache and bordeaux - let the rich colors of red wine inspire your fashion choices this upcoming season. 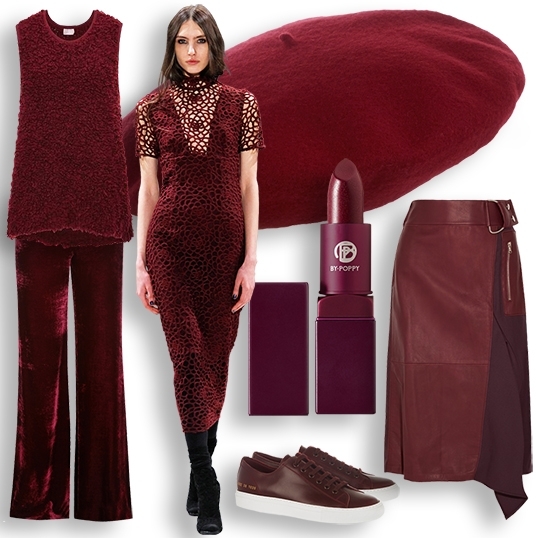 Don't be afraid to wear shades of dark red from head-to-toe. Don a burgundy cable-knit sweater atop a grenache colored pant, or matching silk top and leather skirt in crimson-red. Emilio Pucci's velvet wide-leg pants in burgundy and Giamba's sleeveless fur tank inspire a perfect I'm chic, quirky and soft to the touch look! Pair red wine colors with cream, shades of gray and deep blue hues. Fur (faux too), velvet, wool, heavy lace.. dark red colors combined with textured fabrics are alluring, sophisticated and spot-on for fall. 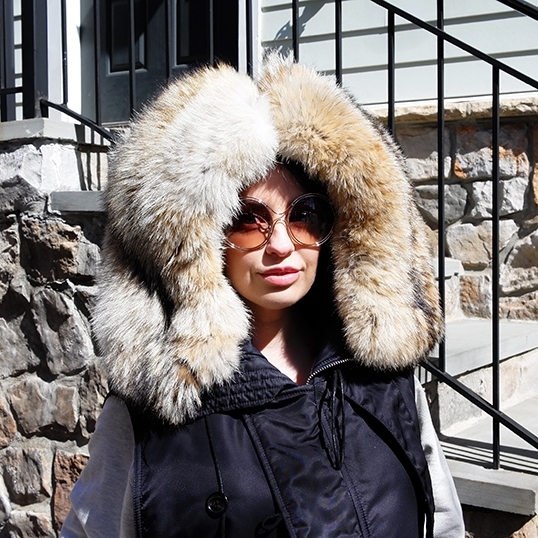 Pictured here: (available at M'oda 'Operandi) Giamba sleeveless fur tank (available at NET-A-PORTER) Emilio Pucci velvet wide-leg pants, Gucci wool-felt hat, Lipstick Queen Bete Noir Lipstick, Common Projects Tournament leather sneakers, 3.1 Phillip Lim leather and wool-twill skirt. The Phillip Lim fashion show is my most anticipated during New York fashion week. Much of my closet is lined with Lim designs and I'm anxious to add some of the pieces in this collection to my wardrobe. This collection was comprised of distressed fabrics (silk and knits), fraying, strapping and layers. Many of Lim's past designs were referenced in this season's collection. The montage of asymmetry, uneven hems and oversized silhouettes showed a slight punk reference and appeared a little erratic. Some of the looks were more subtle, but not without leaving an impression - the long sleeve gray denim jumpsuit and distressed knit sweater atop a burgundy leather skirt were simple (in comparison to the other looks), chic and memorable. Sneakers are dominating the footwear category these days. Worn with everything from dresses to jeans and of course joggers. Whether your dressed up or down, sneakers are the must-have shoe trend of the season. Opt for a court style in bright white or a neutral color for a look that is modern, chic and best of all, comfortable! Pictured here (and my favorites): (available at NET-A-PORTER) MM6 Mason Martin Margiela leather and suede sneaker $365. Converse Jack Purcell leather sneaker $70. Jil Sander leather sneakers $495. 3.1 Phillip Lim Morgan low-top sneaker (on sale at shopbazaar.com) $225. (available at NET-A-PORTER) Saint Laurent classic leather sneaker $595. Acne Studios Adriana plaque-detailed leather sneaker $430.